Just a reminder, the From the Front Row Bucket List contest, sponsored by Warner Brothers Pictures, is still going on. Entries will be accepted until midnight, December 31. 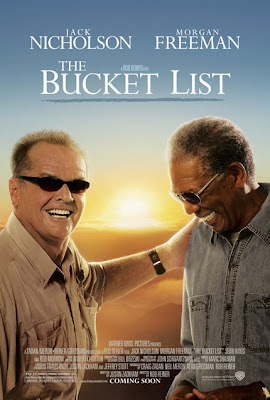 So send in your own personal "bucket lists" and enter to win a poster from the new Warner Bros. film, The Bucket List. Response to this contest has been very big, so send in your entries today to contests.fromthefrontrow@gmail.com!